India’s leading car manufacturer Maruti Suzuki is fully gearing up for its flagship launch of all-new Maruti S-Cross. With Maruti S-Cross entering the car market in India, the company is unveiling its first ever exclusive showroom for premium cars. Maruti wants to build a lasting impression among its customers who are keen to buy the S-Cross. On that lines the Indian carmaker is opening a new kind of showroom with the brand name “NEXA”. According to Maruti Suzuki, NEXA will be the acronym for New Exclusive Automotive Experience – which is also a philosophy Maruti Suzuki wants to follow for their premium offerings in the county. The Indian automaker wants to set up an unique experience for its customers keeping the “Pampering, Innovation, Global Standards and Reliability” as their Mantra. Maruti Suzuki hopes to provide all the high quality luxury experience for their luxury car buyers at their NEXA outlets. According to Maruti Suzuki, NEXA showrooms would impart a truly special feeling to the customers. The premium showroom is going to feature superior decor, ambience, and very importantly, a global and pampered customer service. The Indian carmaker wants to strike a premium first impression; luxury lounges and a slew of infotainment systems to keep its prospective customers entertained. The customers who visit the NEXA showroom would be exclusively attended to by a personal relationship manager, who is going to assist during the purchasing process. According to Maruti, relationship manager would be the single point of contact/entry for the customer. The manager would ensure a hassle-free experience for different aspects like buying decision, service related queries etc. 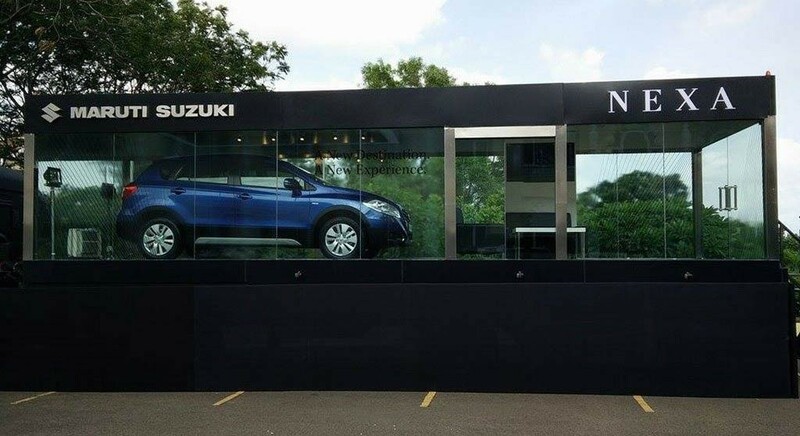 Maruti Suzuki plans to open over 100 NEXA showrooms in more than 30 cities across India by the end of 2015.